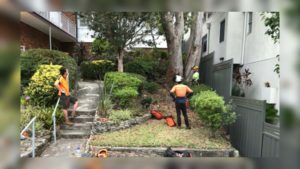 In June 2017, the Sutherland Shire Council relaxed some of its tree removal regulations to allow private property owners more control over the vegetation on their property. 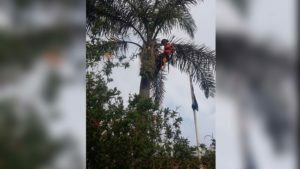 These new regulations walk a fine line between protecting both the area’s magnificent canopy and its residents’ properties. 1. Trees with large diameters: Single or multi-trunked trees that have diameters of 100 millimetres or more at a location at 500 millimetres above ground level fall under this category. 2. Bushland vegetation: Council defines bushland vegetation as a) any remnant of the land’s natural vegetation, including mangroves and b) altered vegetation that represents the structure and flora of the area’s natural vegetation. According to the statute, this applies to all herbaceous species, shrubs, and trees of every size. 3. Trees near creeks or watercourses: Trees that are growing within four metres of watercourses remain under protection. These trees prevent erosion, which can affect not only the Shire, but also areas downstream as well. If you aren’t sure which type of tree yours is, contact your tree removal company. 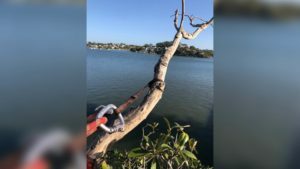 They can identify the tree and help you remove it. If you’re not sure if your property falls under this category, you need to contact the Rural Fire Service to see if your property is covered and whether there are other conditions you must meet before you begin to clear. Phone them on 1800 679 737. If you need to remove—or even prune—a tree that does not fall under Council’s stated guidelines, you need to lodge an application with Council. To maintain the Shire’s canopy for the next generations, you will need to plant replacement trees at a 4:1 ratio. Council will notify you about their requirements for replacement plantings when they approve your application. Pruning applications will not require a fee-only approval. Tree removal applications will incur a $154.00 fee. If you hire a qualified arborist, you can provide his or her report to support your application. 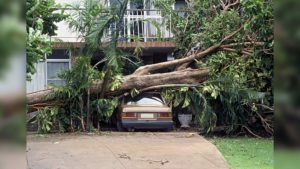 This will reduce the cost of your application to $35.00, as long as a Tree Risk Assessment Qualification (TRAQ) report is included. 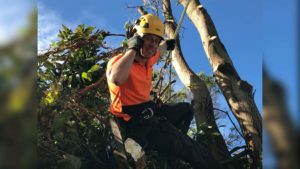 Choose a tree management company that has a wide range of experience in providing eco-friendly tree removal and pruning services to residences and businesses in the Shire. To learn more about these regulations and how they impact your property management, contact the expert tree management team at Wolf Trees and Gardens today.